Comet 67P/Churyumov-Gerasimenko, which is neither an asteroid nor relevant to this story, but looks somewhat threatening. An asteroid approximately the size of a football field flew close by Earth only a day after it was first spotted this weekend. This near miss is a perfect example of an argument I’ve been making for some time: These are the asteroids we should worry about, not the so-called potentially hazardous rocks being tracked by NASA and periodically hyped by panicked headlines. NASA scientists first observed the asteroid, now called 2018 GE3, on April 14, according to a database. It ventured as close as halfway the distance between Earth and the Moon, and was estimated to be between 47 meter and 100 meters in diameter (~150 and 330 feet). This is smaller than the asteroids governed by the NASA goal, which is to track 90 percent of near-Earth objects larger than 150 meters (~460 feet) in diameter. Nevertheless, it still could have caused a lot of damage if it had hit Earth. If you read tabloids or Google news headlines, you probably hear about “potentially hazardous asteroids” all the time. But, like we’ve said before, those are not the asteroids you need to worry about. Potentially hazardous asteroids are those that NASA has determined could possibly hit the planet in the distant future, generally those within 20 lunar distances of Earth and 140 meters in diameter or larger. 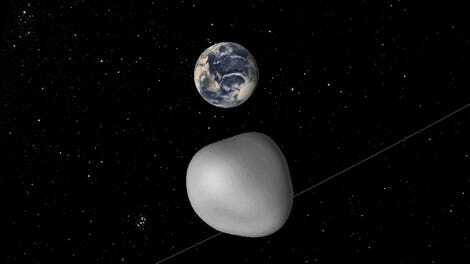 The rock that flew past us this weekend was not a “potentially hazardous asteroid,” surprising as that may sound. That’s because no one was tracking it until April 14, even if such an asteroid striking the Earth could have been catastrophic on a local or regional level. It’s not like scientists don’t want to track these things. It’s just hard to do, as Live Science explains here. They’re small, and their chemical composition makes them less reflective, so they’re harder to spot with a telescope. They’re also fast, and you need a system of telescopes to detect them. But 2018 GE3 is not that small. The 140-meter cutoff was set up because “impacts from objects of that size would only produce regional effects, while larger objects would have corresponding wider effects,” according to a NASA planetary defense FAQ. But an asteroid close in size to 2018 GE3 could have caused the Tunguska event, and the Chelyabinsk meteor was probably only 20 meters in diameter. If 2018 GE3 had hit a city, it would have been very, very bad. Thankfully, 2018 GE3 didn’t strike Earth. And irresponsible headlines will go on worrying about ridiculous non-threats like Planet X. 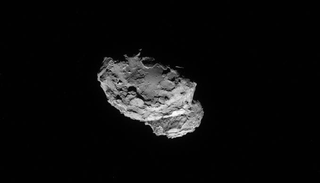 But you might wonder what can be done to ensure we can spot asteroids like this one sooner. You can’t shoot them down only a day in advance—they’re far too heavy and fast. The answer is that we need more and better telescopes to track these things. Anyway, this is still in the territory of odds-you-shouldn’t-worry-about, though upgrading our country’s space observation capabilities would be nice. Still, next time you see the ubiquitous story about a “potentially hazardous asteroids,” remember that anything NASA is currently tracking is of no consequence to our safety. It’s the unknown stuff that might kill us.